When the Sisters of Mercy lost their foundress Sister Catherine McAuley in 1841, stories of Mother Catherine passed from one generation of sisters to the next. McAuley's Rule and Constitutions along with her spiritual writings and correspondence communicated the Mercys' founding charism. Each generation of Sisters of Mercy who succeeded her took these words and her spirit with them as they established new communities or foundations across the United States and around the world. In Women of Faith, Mary Beth Fraser Connolly traces the paths of the women who dedicated their lives to the Sisters of Mercy Chicago Regional Community, the first Congregation of Catholic Sisters in Chicago. More than the story of the institutions that defined the territory and ministries of the women of this Midwestern region, Women of Faith presents a history of the women who made this regional community, whether as foundresses of individual communities in Wisconsin, Iowa, and Illinois in the nineteenth and early twentieth centuries or as the teachers, nurses, and pastoral ministers who cared for and educated generations of Midwestern American Catholics. Though they had no immediate connection with McAuley, these women inherited her spirit and vision for religious life. 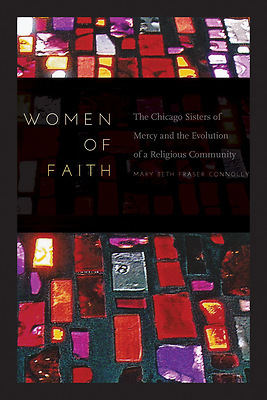 Focusing on how the Chicago Mercys formed a community, lived their spiritual lives, and served within the institutional Catholic Church, this three-part perspective addresses community, spirituality, and ministry, providing a means by which we can trace the evolution of these women of faith as the world around them changed. The first part of this study focuses on the origins of the Sisters of Mercy in the Midwest from the founding of the Chicago South Side community in 1846 through the amalgamation and creation of the Chicago Province in 1929. The second part examines how the Mercys came together as one province through the changes of Vatican II from 1929 to the 1980s. Part III examines life after the dramatic changes of Vatican II in the 1990s and 2000s. Presenting rich examples of how faith cannot be separated from identity, Women of Faith provides an important new contribution to the scholarship that is shaping our collective understanding of women religious.